The Fullbright Company likes haunted-house stories. Their debut title, Gone Home, had you exploring a spooky, empty mansion whose only specters were ultimately metaphorical. 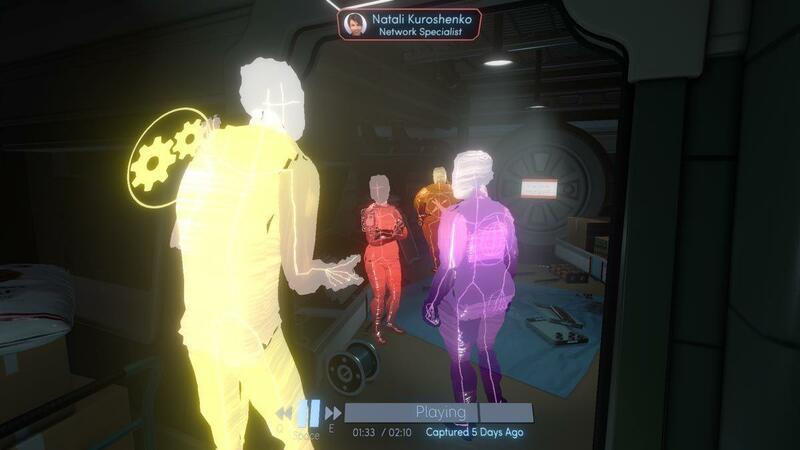 In Tacoma ($20 on Steam), the ghosts are digital—recordings of an abandoned space station’s absent crew, roaming on a loop through the places they called home, replaying the hours left to them after a catastrophic, potentially lethal accident. Your character’s been sent by the crew’s corporate employer to salvage the station’s artificial intelligence. But restoring and replaying those crew recordings as you tour the station quickly reveals that your job—and what happened to Lunar Transfer Station Tacoma and its crew—may not be as simple as it initially seems. Follow crew members into different rooms to watch their side of the story – then rewind to see what their crewmates were doing at the same time. 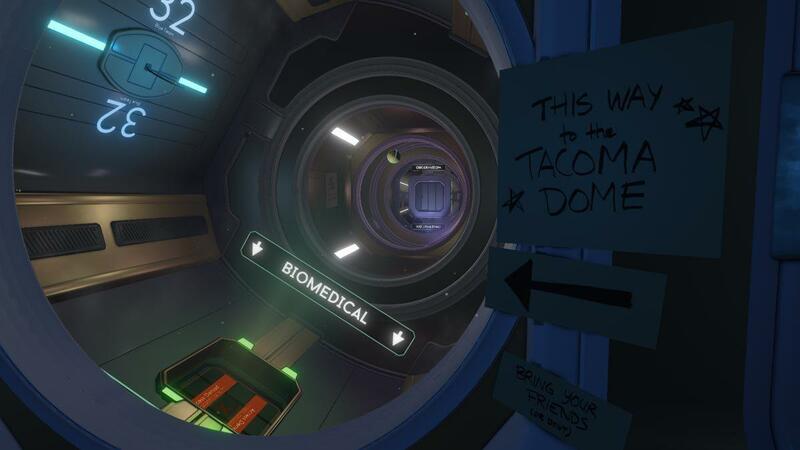 Like Gone Home, Tacoma isn’t really a game. It’s a story you can walk around in, bolstered by an ingeniously simple play mechanic. The crew recordings take place in three dimensions, and since the characters often wander off to different rooms, you’ll have to choose whom to follow, then rewind and follow someone else to a different room to see how their part of the scene plays out, until you’ve gotten the whole story. Though the game’s six characters (seven, counting the AI; eight, including the ever-napping station cat, whose name is too good to spoil here) appear only as colorful 3D outlines, their outstanding performances and Fullbright’s masterful storytelling make them bracingly real. I witnessed moments so poignant and personal that I felt I ought to look away. The game’s richly imagined future world is filled with clever details and shoutouts to noted science fiction authors. Being able to walk right up to and around the characters as they try to outrace and outthink impending death lends the game a striking intimacy. The story’s emotional gut-punches and surprise twists pack a real wallop. Superb environmental design in the crew areas fleshes out each character’s personality and history, all of which feeds back into the overall narrative in satisfying ways. Tacoma also creates a remarkable sense of place. Sometimes I just wanted to stare out a window, watching the station spin, seeing sunlight slide over a room and away again. In the station itself and the world revealed through its contents, Fullbright’s fleshed out a detailed, believable future that sci-fi enthusiasts will love, and packed it with sly, affectionate references to the authors who seem to have inspired it. 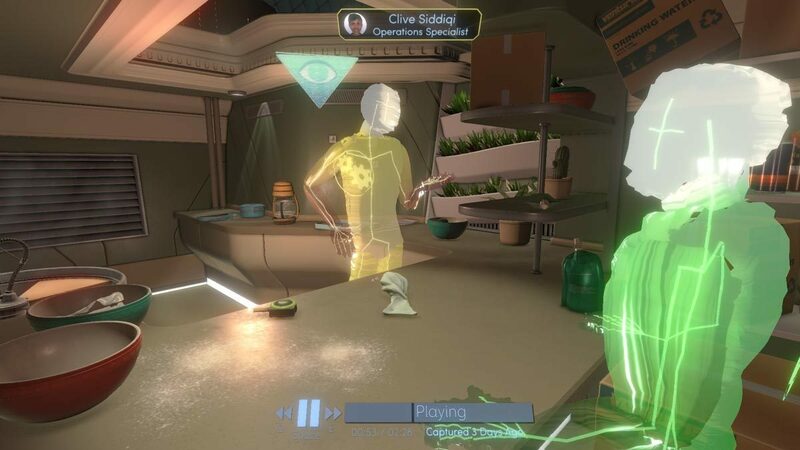 Tacoma’s detailed environments add depth and nuance to the game’s story. 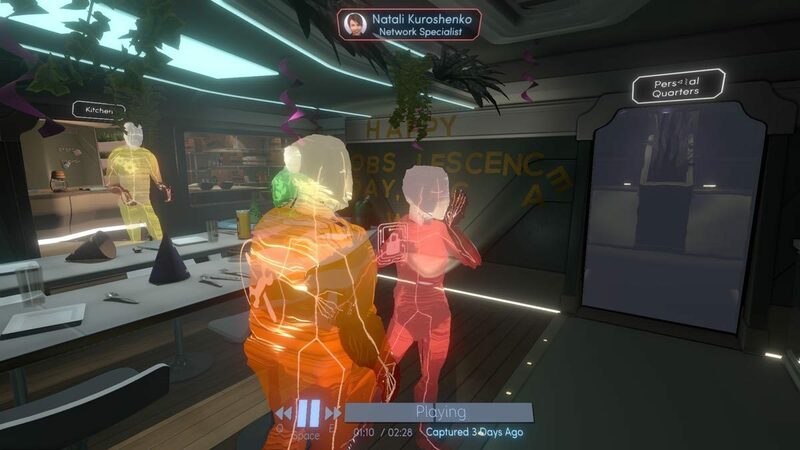 Tacoma has just one problem: As noted above, it’s not really a game. Sure, you can goof around the station inspecting objects or hunting for easter eggs and accomplishments. But nothing you do changes the story in any way. The ending involves an audacious but annoying narrative cheat that made me feel like I’d been lied to for the entire game. Tacoma’s story makes you desperate to affect its outcome, then strictly denies you any meaningful choices or agency. In that sense, the station’s crew aren’t the ghosts in Tacoma. You are. Tacoma tells a gripping, masterful tale that’s definitely worth experiencing for yourself. I only wish that Fullbright would let their players actually take part in it, instead of forcing them to sit around and watch.